2015 Paranormal Romance Guild REVIEWER'S CHOICE AWARDS!! Hello all! I'm super excited to announce that I've been nominated in the Paranormal Romance Guild's Reviewer's Choice Awards! The PRG have chosen their favorite reads of 2015, and now it's your turn to vote! So many amazing titles have been nominated! I'm thrilled to be a part of this fantastic lineup. Against the Grain has been nominated in the M/M Paranormal Romance/Urban Fantasy category. And the THIRDS has been nominated in the M/M Paranormal Romance/Urban Fantasy Series category! Woot! Paranormal Romance Guild 2015 Reviewer's Choice Awards - Thank you!! 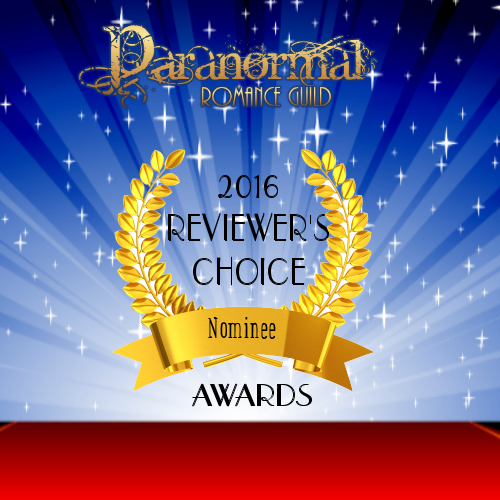 2016 PRG Reviewer's Choice Awards!